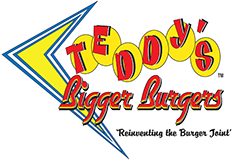 As eaters head into the latter, more scorching months of the year, the staff at Teddy’s Bigger Burgers sees the need to keep the flame going. That is why they have introduced their August Burger of the Month—the Chili Cheeseburger. The masterpiece is made with Teddy’s 100% ground chuck Original Burger topped with Cheddar Cheese and Chili. Did you say you’re a chili fiend? Then go double or nothing, with Teddy’s Chili Cheese Fries! Of course, with all of this Chili madness, eaters need something to wash it all down! A perfect complement to the Chili Cheeseburger is August’s Shake of the Month, the Orange Dreamsicle. Indulge in a smooth, creamy orange and vanilla shake, packed to the lid with 5 scoops of locally made ice cream. Did you know that it’s now easier to get your hands on some of Teddy’s epic burgers? Make sure to stop by our newest locations: Kaneohe and Ewa Beach. Also, keep your eyes peeled for a new location coming soon to the Kapolei Village Center!